It’s that time of year again! Our Thanksgiving and Christmas food drives have begun! Please be on the lookout for our yellow Shop Rite bags hanging from your mailboxes. 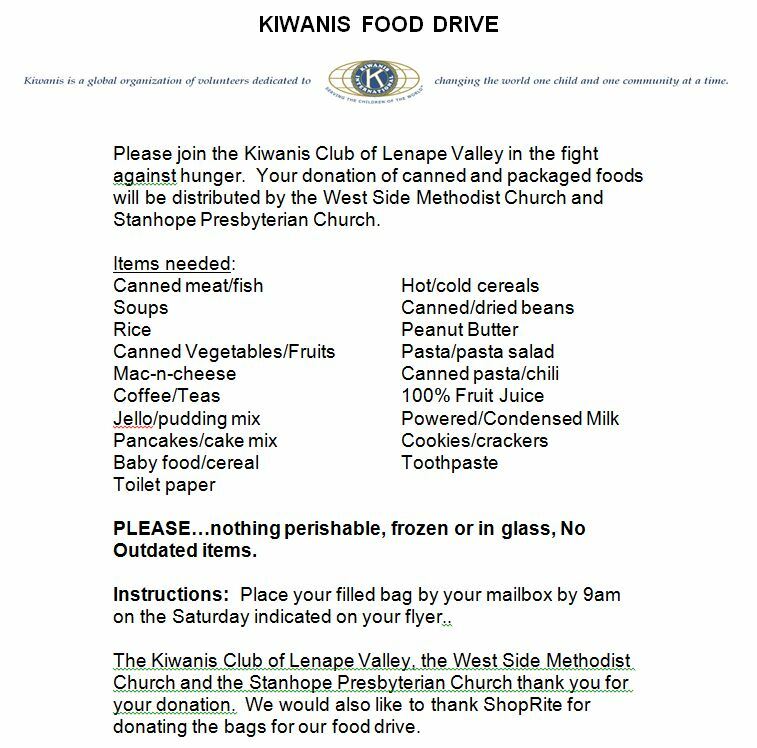 All of the food we collect goes directly to the food pantries at the West Side Methodist Church in Hopatcong and the Stanhope Presbyterian Church.